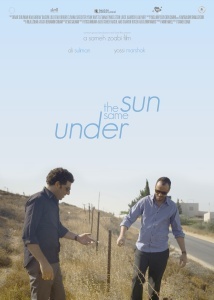 The film is set in the near future, and it looks back at the story of two businessmen - one Palestinian and one Israeli - who struggle to set up a solar energy company. Both come from societies where there is strong opposition to cooperating with the other, and the film tells how they overcome hostility from within their own families and from the people around them. In the end, they mount a Facebook campaign that impacts their joint venture and ultimately changes the political map.